Meet with a tutor or mentor at the Student Success Center. Our tutors are trained to help students with course content, study skills, time management, organizational skills, reading strategies, and other academic needs. Check for your course below and find the days, times, and locations that a tutor is available. We provide walk-in service. 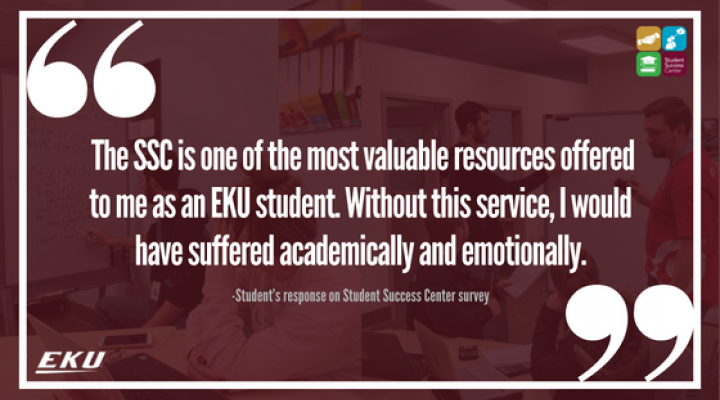 If you would like to connect directly with a tutor at EKU, email us at successcenter@eku.edu. If you are a dual credit or online student, please email us for an online appointment. Wednesday: 11:30 a.m.-3:30 p.m.; 4:45-8:00 p.m. 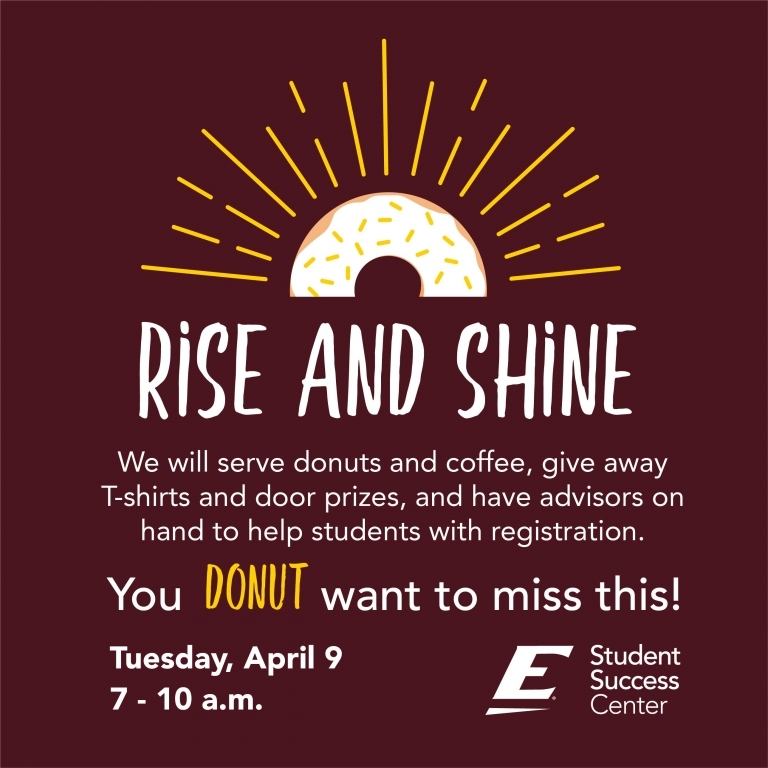 Please email successcenter@eku.edu to schedule an appointment. Friday: 8:30-11:45 a.m.; 1:30-4:00 p.m.
Monday: 9:45-11:45 a.m.; 1:30-3:45 p.m.
Wednesday: 8:00-9:45 a.m.; 1:00-8:00 p.m.
Thursday: 8:00 a.m.-11:00 a.m.; 2:00-5:00 p.m.
Monday: 8:00 a.m.-1:30 p.m.; 4:00-8:00 p.m.
Tuesday: 8:00 a.m.-1:30 p.m.; 2:00-8:00 p.m.
Wednesday: 8:00 a.m.-12:30 p.m.; 1:30-8:00 p.m.
Monday: 8:00-11:00 a.m. 5:00-8:00 p.m.
Tuesday: 11:00 a.m.-1:30 p.m.; 4:00-8:00 p.m.
Wednesday: 8:00 a.m.-12:30 p.m.; 4:45-8:00 p.m.
Thursday: 11:00 a.m.-3:00 p.m.; 4:30-5:00 p.m.